The Penny Dreadful novels were quite a success! To where do you attribute its success? Did you expect it? Not at all! I mean, all three of those novels (Dracula, Frankenstein and The Picture of Dorian Gray) are obviously very well known and widely read so who’d have thought that yet another edition of them would have been so successful! They went down a storm at last years San Diego Comic Con. I think that perhaps one of the less obvious successes of the Penny Dreadful TV show is that it’s encouraged people who wouldn’t normally read gothic horror to seek out the original source novels, which is great. We received feedback from fans who bought the books and they raved about how good the illustrations were. They think it was very classic and helpful in imagining the stories. Moreover, it brought new readers into the fold. Clearly, you, Louis De Martinis, Ian Bass and John Logan really did bring out something special. How do you feel about this? It makes me incredibly proud. As I said, I think it’s great that Penny Dreadful has introduced a new audience to Victorian horror literature and that these readers first visual experience in these fantastical worlds are through illustrations that I’ve created makes me very happy. 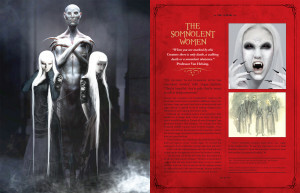 Now, you designed the new Penny Dreadful companion book called “The Art and Making of Penny Dreadful”. How did it all come about? Well, as well as illustrating, I’m also a designer (I co-own the award-winning studio Amazing15) and we’ve done many projects with the publisher Titan Books in the past. After I illustrated (and Amazing15 designed) the Penny Dreadful tie-in novels, they asked if we wanted to do the Art and Making book and we jumped at the chance. It’s such a fun world to play in! 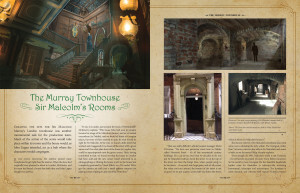 Is The Art and Making of Penny Dreadful the first book that you designed? 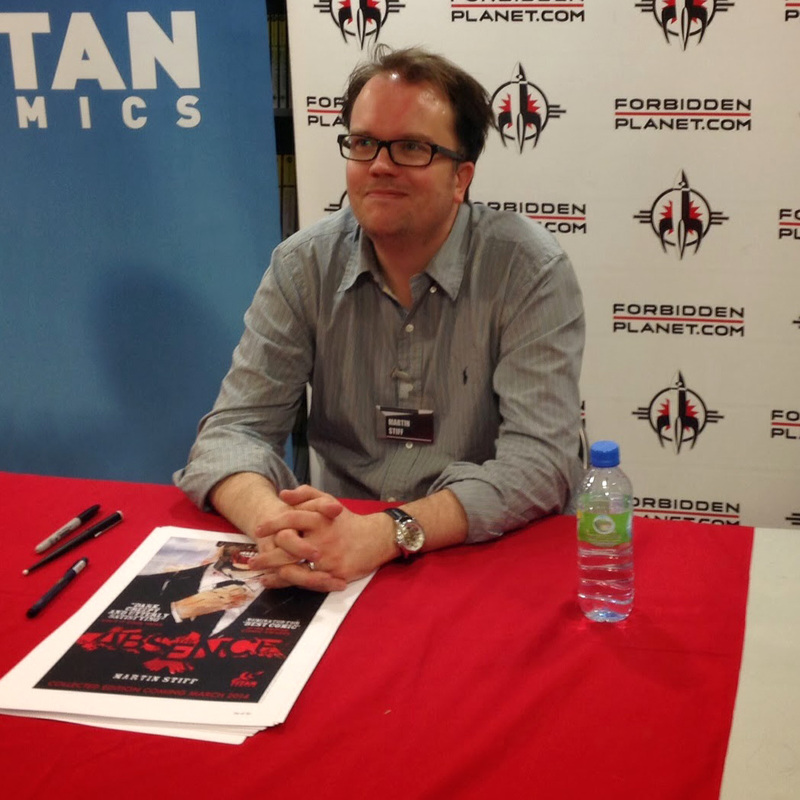 How does the process differ from designing a book compared to graphic novels? Ooh, no I’ve designed many books. Before we set up Amazing15, I was the books art director at Titan. I’ve designed art books for movies like 300: Rise of an Empire, Elysium, Prometheus, Watchmen, Star Trek, the upcoming Mad Max movie and tons more. Both designing a book and making a comic are usually hugely collaborative experiences – the writer, editor, designer and so on all have to work closely together. 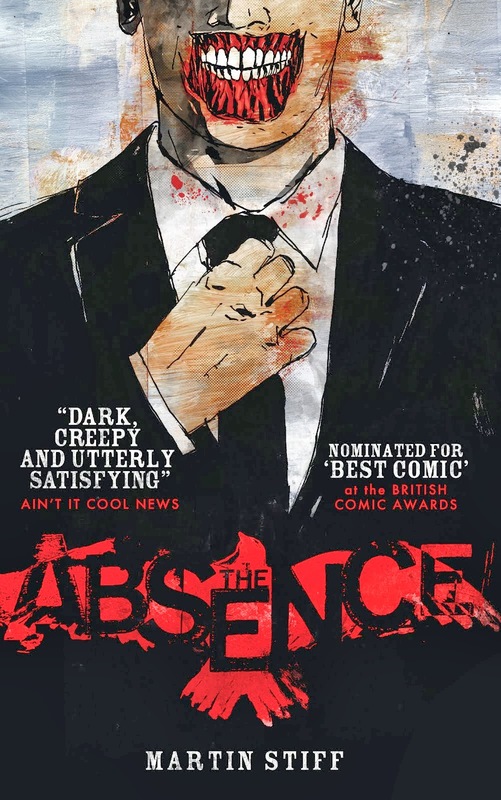 Unusually I was the sole creator on The Absence, meaning I wrote, drew, and designed it so other than some input from the editor it was a pretty one-man-band affair but with the Art and Making of Penny Dreadful we had a lot of talented people involved in the process. I designed it, Sharon Gosling wrote it, Jo Boylett at Titan did a wonderful job at editing it and pulling the whole thing together – and that’s just the physical book production side. The good folks in the TV production crew helped collate and supply all the material we used. So I was a mere cog! 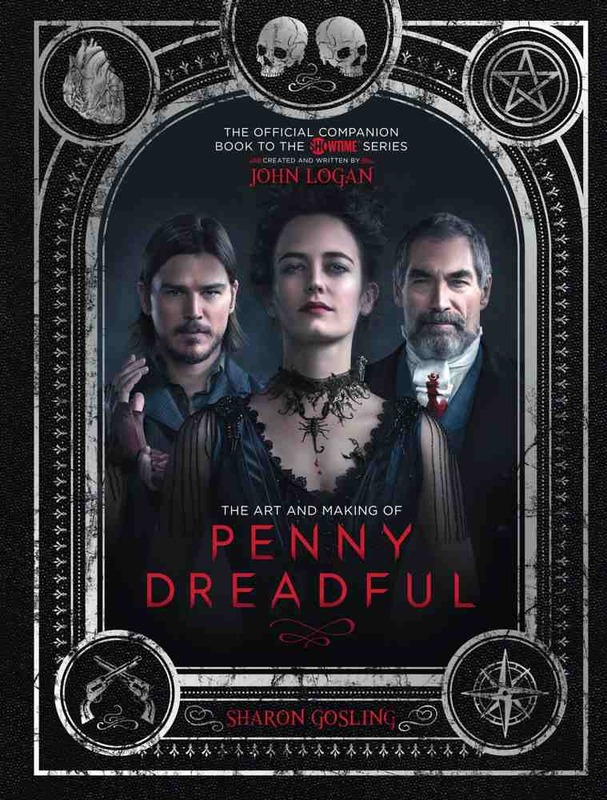 On the Penny Dreadful Dracula novel that you illustrated, you said that you worked closely with Penny Dreadful creator and writer John Logan. Is it the same case in this book? Well, I think Sharon would be the person to best answer this one! I believe she was lucky enough to spend some time interviewing him. He obviously had final approval on all the pages I designed and he seemed very happy with them! We noticed that the book cover is very much in tune with the show’s Season 1 posters. Can you tell us what sort of brief you were given in designing this book? The idea was that the book, despite being a ‘making-of’ would feel quite ‘in-world’ – so it would look and take it’s influence from Victorian literature and book design and look like something which could have come from the studio set itself. Can you tell us where do you start when you begin to design a cover? How does it evolve from that point? We start by putting together several different ideas and directions for people to choose from. It can range from anywhere between 5 to (in one memorable case) over 100 variations until we settle on a direction. Once that’s done we fine-tune it, moving stuff about a bit and tweaking this and that. Once the publisher is happy it’ll go to the licensor (in this case Showtime and John Logan) for approval. The cover is done well in advance of the rest of the book because the sales and marketing teams need it to start selling it. In the case of Penny Dreadful we had a slightly larger production budget to play with, so we looked at what effects we might use – embossing, foiling, spot varnishing and so on so that all had to be discussed and tested. Were there other variations of the cover? How many were there? What is specifically about this cover that made you decide that this is the right one? I think we only did 10 or so covers on Penny Dreadful – we were lucky enough to hit it in more or less the first pass. It’s a strong cover, with a great composition and lovely detailing – we’re very happy with how it turned out. Do you have a particular favorite chapter or part of the book? I like the chapter that details the development of the vampire design. 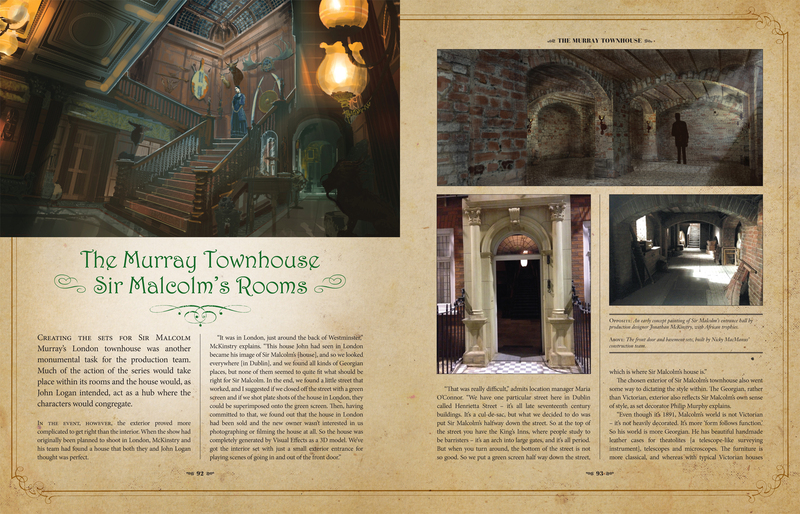 The concept art was stunning and I think we enlarged that chapter twice to try and make sure we fitted in everything! We’re sure that there were a lot of very interesting pictures from the set. Was it difficult to decide which will be included in the book and which wouldn’t? Oh man, more than you’d ever know. The unit photography is one thing (and we had plenty of it), but we had SO MUCH MATERIAL provided by the artists it’s insane. I think it was about 2 terabytes of artwork, which is more than any other book I’ve ever worked on – even the big budget movies. Trying to work out what to put in and what to leave out was tortuous! When you’re faced with three gorgeous pieces of concept art, and only have space for one, it’s a painful choice to make! You’re a fan of the show so it must be really fun to be able to see the future content of the book before anyone else! However, is there a picture, chapter or layout that you wish were included in the book? If yes, which were they? We had several variations on the werewolf design that we just didn’t have room for, sadly. It would’ve been nice to get more of that in. And there’s loads (and I mean LOADS) of background art – theatre posters, flyers, newspapers and whatnot – which you probably wouldn’t even notice in the TV show that we only had a little room for. We snuck some stuff into the backgrounds of the pages just to try and get it in there somehow. Browsing through the book, we have to say that it exceeded our expectations from the usual companion book that we get from other shows or films. It looks very well thought out. Sharon Gosling did an excellent job in putting together all the essential details. How was it like to work with her? Sharon’s the best. If I think I had a tough job wading through all the imagery we were supplied, she spent ages interviewing all the cast and crew and generating masses of material she then had to fashion a book from. I’ve been lucky to have known Sharon for a while and she’s incredibly professional, fantastically creative, very helpful and a brilliant, brilliant writer. She also makes amazing birthday cakes. Are you currently working on anything new, whether Penny Dreadful related or not? Well, I’ve started work on my follow up graphic novel to The Absence, so hopefully I’ll have the first part of that out later this year. My day-to-day design projects at Amazing15 swallow a lot of my time and we’re working on lots of exciting new things that I’m annoyingly not allowed to talk about. If asked, are you open to do more Penny Dreadful related illustrations and designs? Most definitely. It’s a fantastic world to visit. I hope to do so again soon. A lot of fans have already pre-ordered the book, do you have any message for them? Thanks! Hope you enjoy reading it as much as we all did putting it together. 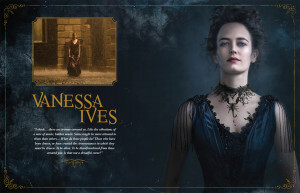 Can you give three reasons why this book is an essential must-have for all Eva Green and Penny Dreadful fans? I think, a book like this, gives you a new perspective on how hard people work on a show like this – Eva Green especially. The behind the scenes imagery of her in make up and on set show a consummate – and entirely fearless – professional. 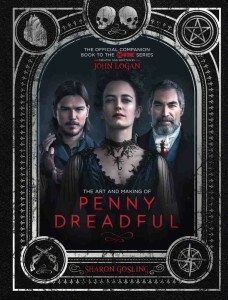 A show like Penny Dreadful is so complex to put together, I think it’s wonderful that a book can document the effort everyone puts into it, especially when it’s sometimes not even obvious on screen. It’s a celebration of collaboration. Lastly, what are you hoping to see in the upcoming season? I’m looking forward to seeing Dorain Gray playing a larger role in proceedings – and I want to find out what happens with Brona and The Creature! And I want to see Timothy Dalton kick more vampire arse. Frankly I can’t wait until season two! Read our previous interview with Martin Stiff HERE. You can buy The Art and Making of Penny Dreadful HERE. 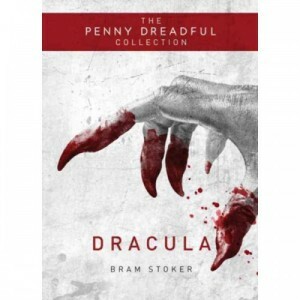 The Penny Dreadful Special Edition Series for Dracula, Frankenstein and The Picture of Dorian Gray are available HERE. 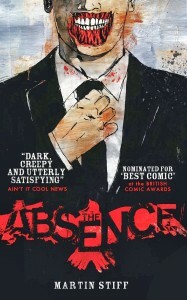 Martin Stiff’s The Absence is available on Amazon and Kindle. Follow Martin and his adventures on Twitter. DISCLAIMER: EvaGreenWeb.com does not receive any profit from sale of any of these materials.